An immigrant from Peru, Sam's father worked in factories from the age of fourteen, but imagined a better life for his family. A few weeks before Sam was born, her father quit his job and decided to start his own business running a lunch truck. Ruben’s Lunch was born with the slogan, 'Only for you today.' 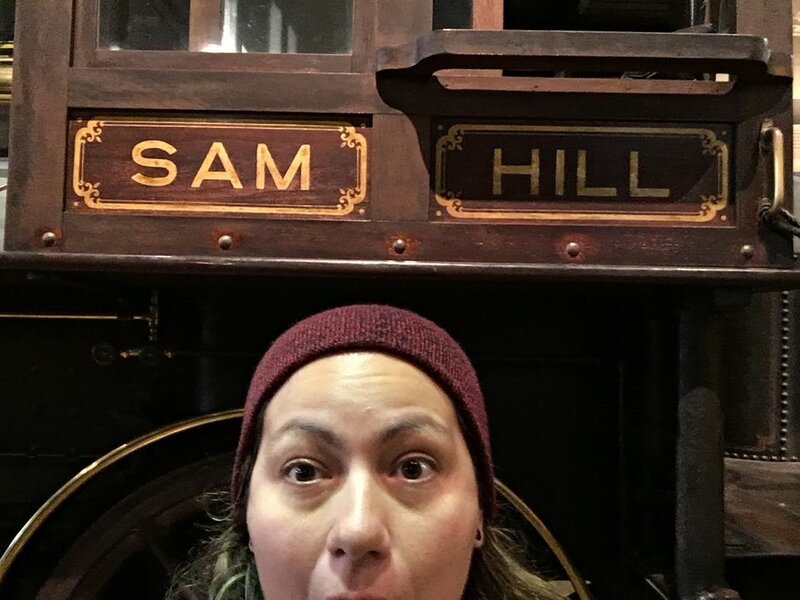 Sam grew up with a deli slicer on the kitchen counter, spent afternoons in wholesale food warehouses, and when she was old enough, worked mornings before school preparing food on the lunch truck. Sam did very well in school with college in mind, but decided to enroll in the vocational school's baking program where she would learn skills to help pay for her education. That decision lead to a lot of baking and cooking experience in a short amount of time. When she was young, Sam would go with her parents to AAA (American Automobile Association) and pick up travel books for all over the world. At fourteen she compiled a plan for her own adventure through Europe with details on each train, hostel and currency (this was before the Euro and the Internet). Eventually, Sam got a passport and hopped on a plane to Paris. There was no stopping her after that. She has taken trips through Europe and Asia and has been instrumental in planning trips for friends and family throughout the world as well. The one requirement for any destination---they must have good food. And the idea of good food has lead Sam to make several road trips through the USA to find some of the best food out there, looking for the mom & pop places that are getting pushed out but may still be making dishes based on family recipes. Education and the love of travel would propel Sam much further than she could have ever imagined, eventually into a travel job that allowed her to work from anywhere, and she did. But all good things come to an end, or is it a beginning? Sam’s dad saw every trip or experience as an adventure, getting lost—driving adventure, losing power in a major storm—survival adventure, moving to Peru—life-changing adventure. Sam is now looking back at the basics of her love for Baking, Food & Travel to create a new adventure.